Fall grazing of invasive annuals reduces fire risk and helps provide nutrients. It’s the kind of simple idea that could set the world on fire—or, better yet, prevent exactly that. After years of traveling to the rangelands of Central Asia to study cheatgrass and medusahead in their natural habitat, Barry Perryman of the University of Nevada in Reno came home to the Great Basin with a radical idea: behave like the herders of Turkmenistan and graze the annuals from October until green-up begins in January. Cattle enjoy the soft stems in the fall, thinning the heavy thatch that favors the aggressive annuals and turns common range fires into infernos. “It was just so ingenious and simple,” says Wilber. With his brother Pat, he had watched cheatgrass and medusahead sweep into burned allotments after a 2007 fire like a second devastating wave of flame, turning what was once a productive perennial bunchgrass range into a purple and yellow mass of annual grass. Adding insult to injury, the Bureau of Land Management (BLM) does not even consider the thousands of pounds of annual biomass when it calculates stocking rates, adds Alverts, a consultant and retired BLM area manager. Barry Perryman of the University of Nevada in Reno says fall grazing can control cheatgrass. 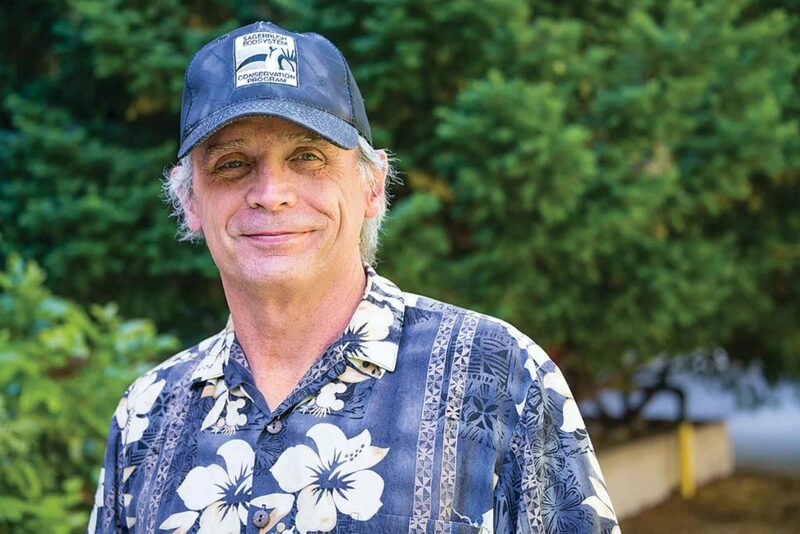 “Our entire management focus over the last 50 years or so has been exclusively focused on the perennial plant community,” Perryman says. “The problem is these are not perennial grass communities anymore. They are a mixed annual/perennial community. “The management we’ve employed has done nothing but make more cheatgrass,” the ecologist adds sadly. Fire risk. The result is millions of acres just a lightning bolt away from disaster. 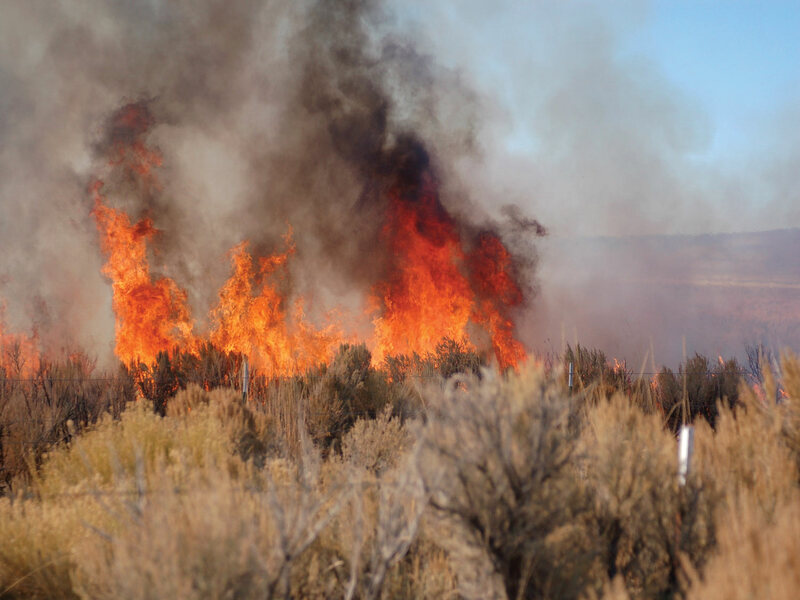 Fire has always been a threat in the high desert, but invasive annuals have made it worse, Perryman notes. Unlike perennial bunchgrasses, which are green in the summer and spaced widely apart, cheatgrass forms a dense mat of fine, tinder-dry fuel. 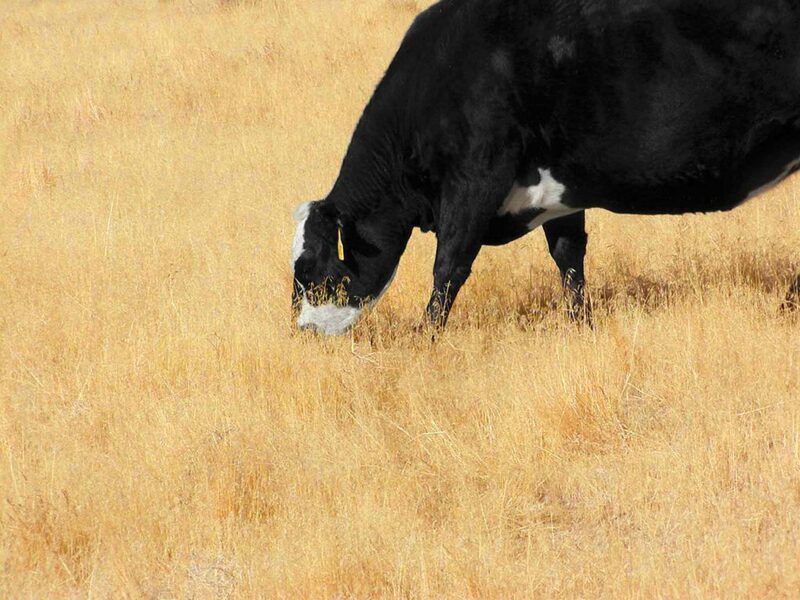 During the summer, the sharp awns of cheatgrass seeds deter grazing. But in the fall, after the seeds have dropped, cheatgrass makes decent forage. By that time, the annuals’ growth has ceased, so it’s easy to calculate how much biomass is present, how many cattle to stock on the pasture, and how long to leave them there. The perennials are also dormant then, protected from damage. Thriving cows. Bill and Pat Wilber worked with Perryman, Alverts, and the innovative BLM team in Burns to host a study of fall cheatgrass grazing on the 14,000-acre Mt. Upton Allotment, where the Wilbers graze cows in their early second trimester. The first year of the study, 333 cows grazed the parcel for 90 days. In year two, 427 cows grazed for 114 days. Sustained by the cheatgrass, medusahead, and Sweetlix and Anipro protein supplements, the cows gained weight. Their body condition scores stayed equal or slid just 0.1 point below hay-fed herd mates. And the Wilbers saved $50 per head per month. Using cattle to reduce cheatgrass to about 200 pounds of biomass per acre reduces fuel load to keep flames manageable. In 2014, Wilber also saw the 397,000-acre Buzzard Complex fire burn right to the northwest edge of the Mt. Upton Allotment—then stop when it hit the dormant-season-grazed area. Perryman sees the Great Basin at a crossroads: either graze cheatgrass or risk fire and the erosion that follows. “If we continue down this path, it’s all going to burn up,” he warns. He adds that range fires are rare in Asia. But doesn’t fall grazing leave the land unprotected? Perryman recalls the Central Asian herders he’s met. Expansion won’t help if you don’t have a low cost structure. Tennessee beef operation gets a facelift.